Developed specifically for the transport and logistics industry, the new CILS-8200HD/HT label designed by the company CILS International solves the problem of labelling textured surfaces - perfect for identification of component parts on commercial vehicles. 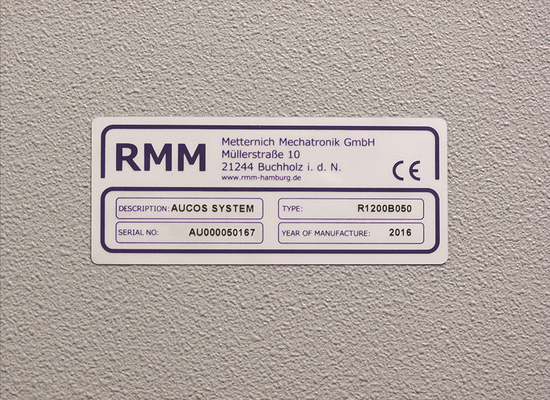 High-tech adhesives make CILS-8200HD/HT new label ideal for reliable long-term identification on powder-coated, cast metal and rough surfaces, where most labels fail. The new unique CILS-8200HD/HT label coating protects your printed serial numbers and barcodes against harsh outdoor conditions, including weathering, UV exposure, abrasion and exposure to oils, fuel, grease etc. CILS' goal is simple: to manufacture durable, computer printable labels that perform in all environments.